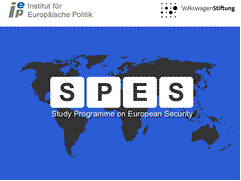 The Study Programme on European Security (SPES) is aiming at the promotion of the respective work of young academics and young professionals from Central and East European EU member states, Eastern ENP countries and Russia. Programme fellows will also be given the opportunity to establish stronger links with “West European” research networks and thereby to feed their views into the debate on the future of Europe and its security policy. 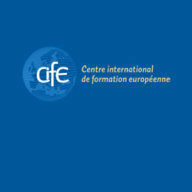 European Energy security and climate change policy. The above mentioned themes are dealt with in an EU-perspective or in the perspective of the applicant’s country or region by addressing particular concerns or expectations with respect to the future security role of the European Union in a challenging and constantly changing world. 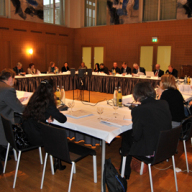 The programme runs over 18 months (February 2009 – August 2010) and combines the production of policy papers with research stays in Berlin and short study trips for interviews and research to Brussels. The selected fellows of the research and study programme work on a certain topic of the thematic framework at their home institution and deliver a publication-ready policy paper of about 25 pages within a given timeframe. In return, they will receive a qualification-oriented individual research grant depending on whether they are PhD candidates, post-docs or young academic professionals. Additionally, the programme will cover the costs for travel and accommodation for the research stay in Berlin, including per diems, and the study trip to Brussels. The research stay of three to four weeks at IEP is basically used for strengthening the argument of the paper through in-depth discussions with highly qualified and experienced experts of IEP. In addition, the fellows have the opportunity to attend smaller workshops at IEP with the participation of experts from other Berlin based think tanks or universities. Each individual policy paper will be published by IEP in a special, widely distributed and established series via internet. 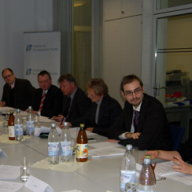 The dissemination of the views and assessments of the SPES fellows could have a positive impact on the inner-European debate on European Security Policy – a dialogue which is still too dominated by West European and transatlantic experts and academics. 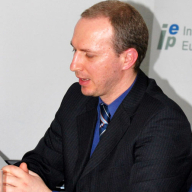 Guest lecture: EU-Russia relations: cooperation or confrontation in the common neighbourhood?